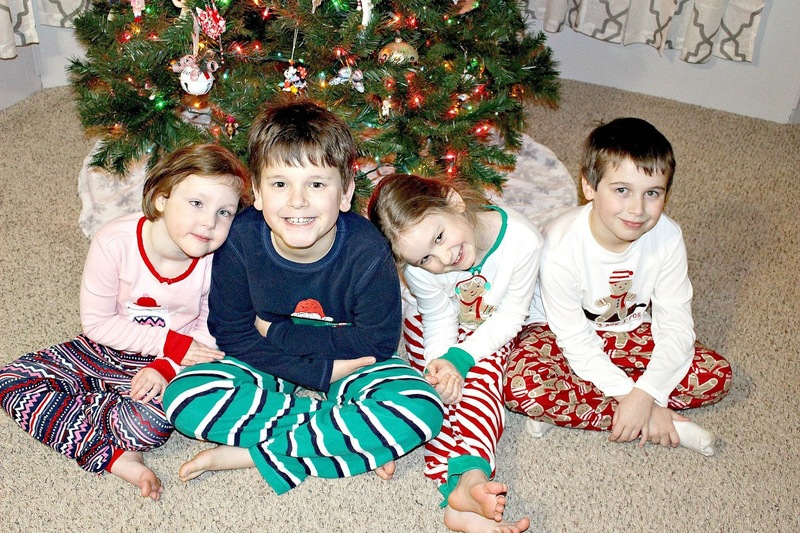 In our home, Christmas Eve (and Christmas Day) are celebrated early to avoid PTSD triggers related to Santa for Princess, and to help the boys and Sunshine with their holiday anxieties. In our opinion it's just not worth watching them suffer, when we can do something about it. It's our hope that when they're older, they'll be able to make it to the official date on the calendar, but if not that's okay too. I couldn't wait to share our Christmas Eve festivities with you. Even days later, I still look back on the day with such fondness. It was magical. 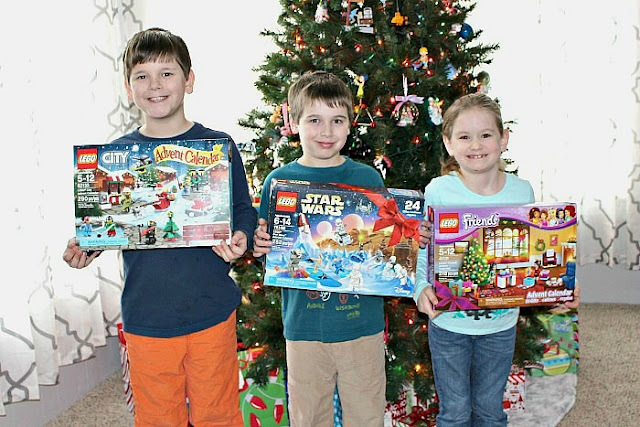 During the month of December, every day starts out with the kiddos' LEGO Christmas Countdown. The older three love this tradition. Sunshine, too young for LEGO, enjoys her Melissa & Doug Countdown Tree. All four kiddos were super excited to finish their countdowns on Christmas Eve Day. 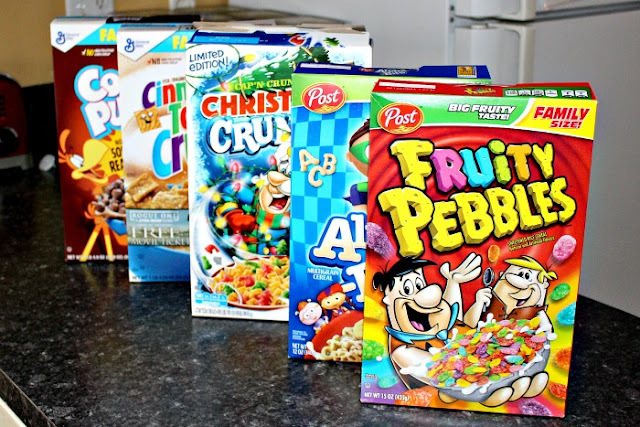 After countdown business was taken care of I surprised the kiddos with their favorite sugary cereals for breakfast. It is a BIG deal to have sugary cereal here as the kiddos usually only get to choose a box for their birthday breakfast. To say the least, they were quite thrilled. Opening gifts from siblings came next. 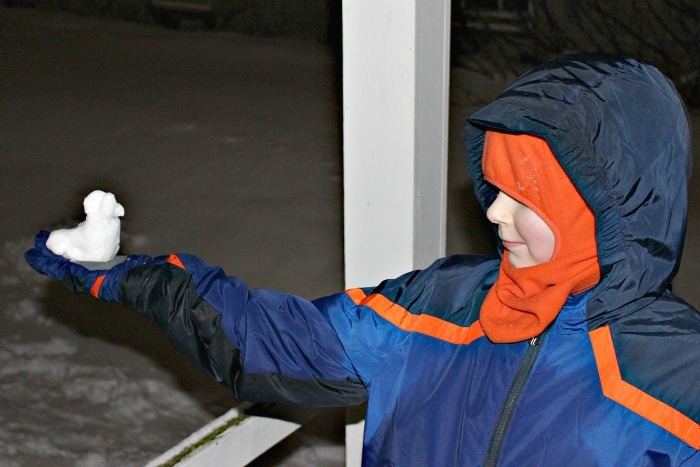 Each Christmas Eve the kiddos exchange gifts they've purchased for each other. They also give gifts they've picked out for Jason and me. This is something they look forward to every year as they've each gone out on a date with me Christmas shopping early in the season, and secretly met with Daddy to surprise Mommy too. I love doing this on Christmas Eve as it helps the kiddos endure the wait until Christmas morning. 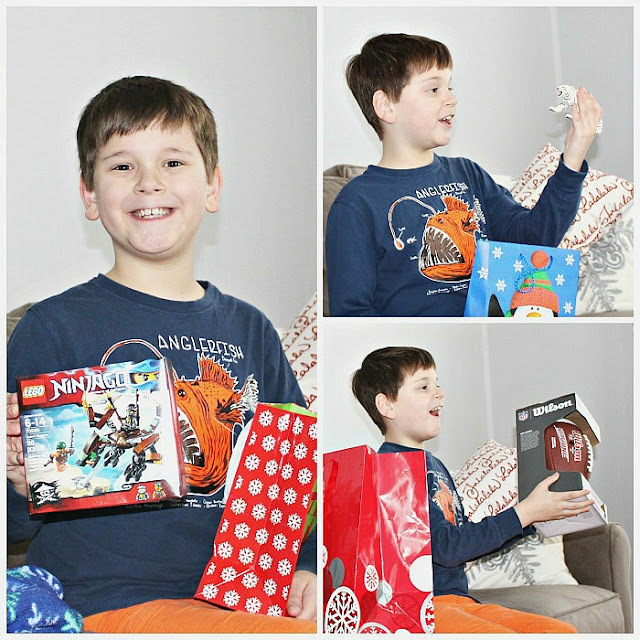 It also provides a chance for the kiddos to take the time to thank their siblings and show their excitement without being overwhelmed with so many other things going on. 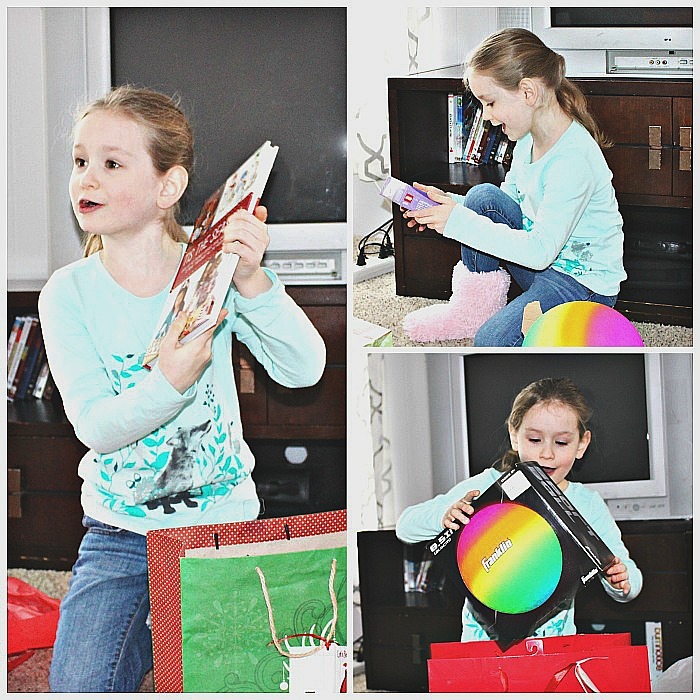 Sunshine was thrilled with her gifts as they were exactly what she had wanted. 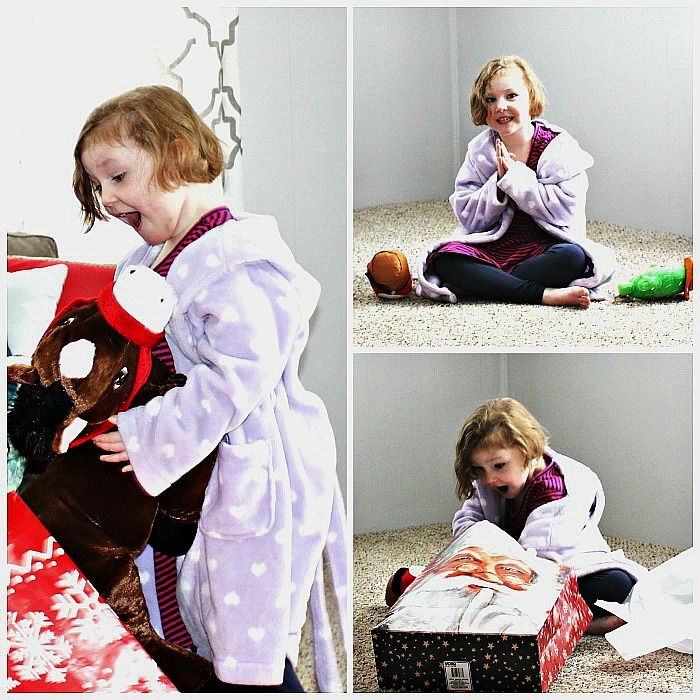 Princess was delighted by the thought and consideration her siblings put into her gifts. They know her well! Bulldozer couldn't wait for everyone to finish opening their gifts so he could start building his new LEGO sets. Dinomite, who is usually the most anxious before Christmas, worrying about if he'll like his gifts or not, was quite relieved to learn that his siblings did an excellent job! 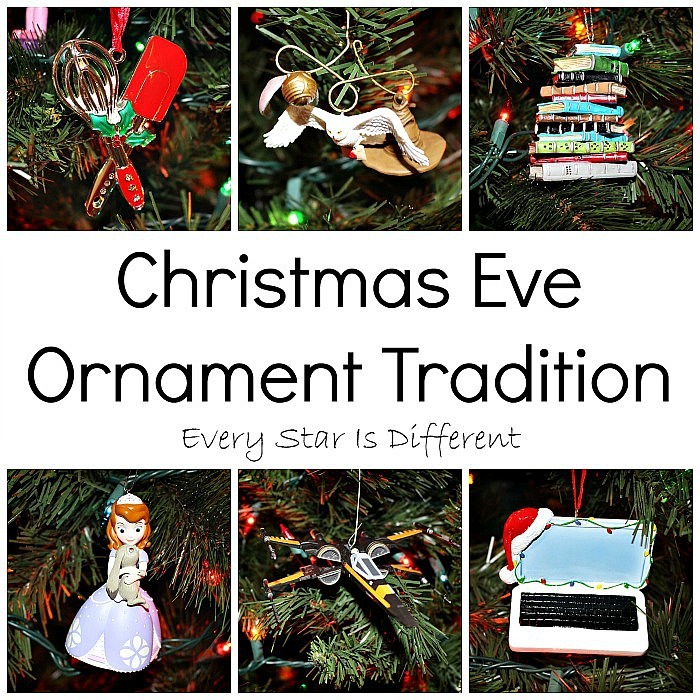 On Christmas Eve we have a tradition of giving the kiddos each an ornament. The ornaments are not just any ornaments. They're chosen because they represent something special about the kiddos from the year. Jason and I also exchange ornaments, which is always a highlight for me. From right to left, top to bottom, here are the ornaments from this year. Jason received a spatula and whisk ornament to represent his takeover of the kitchen this year so I can work more, and his success in preparing two big holiday meals for extended family. Dinomite received his third Harry Potter ornament as he's still obsessed with the series and just finished book five on his own. Princess received a stack of books ornament as she has been my bookworm this year. I can not keep enough books in the house to satisfy her. Sunshine received a Princess Sofia ornament to represent her love for Disney Junior and her favorite characters. Bulldozer received a Star Wars The Force Awakens ornament as we celebrated yet another year of Star Wars obsessions. Renae received a laptop decorated in a Santa hat and lights to commemorate the publishing of her first book: Holidays and PTSD: A Parent's Guide to Survival, and to represent all of the many successes she's had with blogging this year. After presents were unwrapped, packaging taken care of, and ornaments hung, the kiddos played and vegged out watching Christmas movies. It's rare to capture a picture of both Sunshine and Princess together both smiling. I'm so excited to have this picture. For lunch we had our official Christmas Brunch. Bulldozer requested homemade cinnamon rolls. Dinomite asked for turkey bacon. Princess wanted eggs. Sunshine LOVES any potato dish, so hashbrowns were an obvious choice. 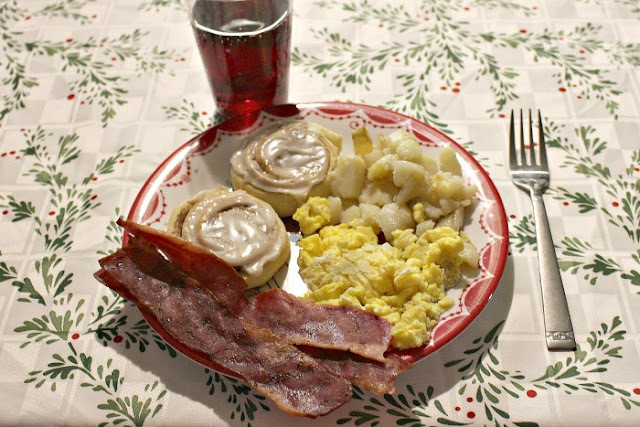 The kiddos all enjoyed their meal, eating only what they liked, devouring the cinnamon rolls. After our brunch it was time for Sunshine to nap. When she woke up the kiddos dressed to go outside. They love playing in the snow. On Christmas Eve they decided to create animals out of snow. A few snowmen where built as well. Check out Dinomite's bird. As customary in our home, homemade hot cocoa with marshmallows and whipped topping was served when everyone came inside. Then it was time for some last minute baking. Sunshine was determined to make "Santa cookies" for Santa. 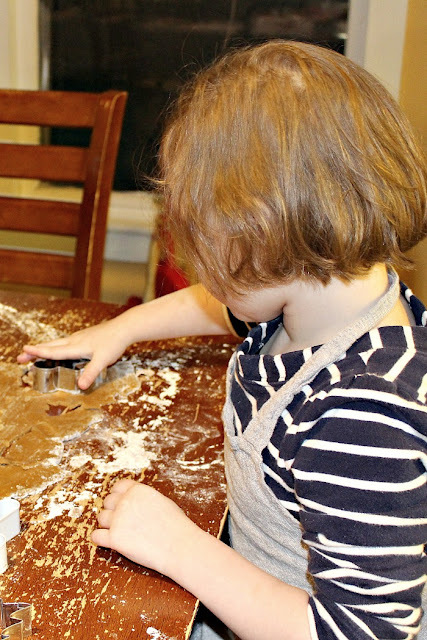 She had a delightful time helping Mommy and loved her first time using the rolling pin and cookie cutters independently. 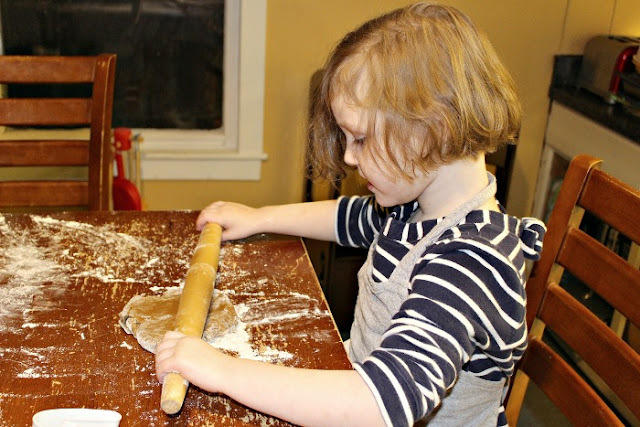 As with all things, Sunshine lost interest quite quickly and moved on, but her cookies turned out wonderfully. 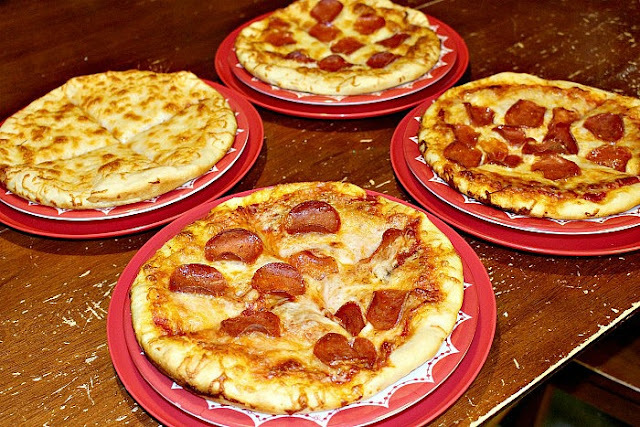 When cookies were finished, the kiddos had requested homemade personal pan pizzas for dinner. Usually they like to help make them, but on Christmas Eve they were too busy watching Christmas movies. I must say, their pizzas turned out beautifully. 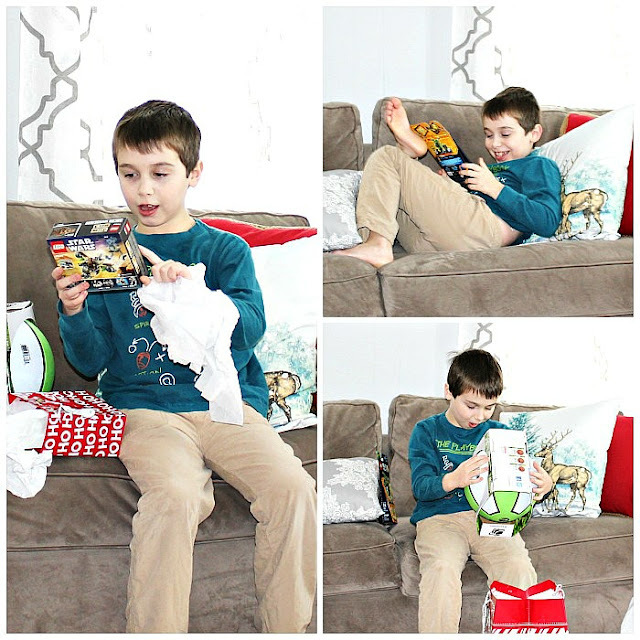 While the kiddos were eating dinner, Jason read the story of Christ's birth. It was so fun to listen to the kiddos' questions after we finished this year, as they seemed to really understand everything more than ever before. 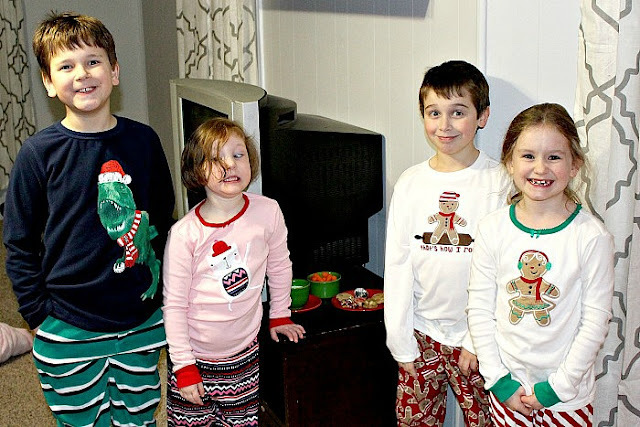 After dinner it was time to change into Christmas pajamas and leave out cookies and milk for Santa. We have always been honest with our kiddos about Santa Claus, due to Princess' past trauma related to the character. However, Sunshine is not one who follows the crowd. She believes in Santa no matter what anyone says. Bulldozer was much the same way, and even though he thinks he knows Santa is pretend, he questioned the idea this year. In the end two kiddos decided to believe in Santa this year, while the other two decided to believe that Mommy and Daddy leave all of the gifts. Can you tell who's more relaxed about the choice they made? Lol. I begged the kiddos for one last group picture under the tree before bed and am so glad I did. In order to move the process along, I told them to pretend they love each other, and the picture below is what I ended up with. I LOVE it! 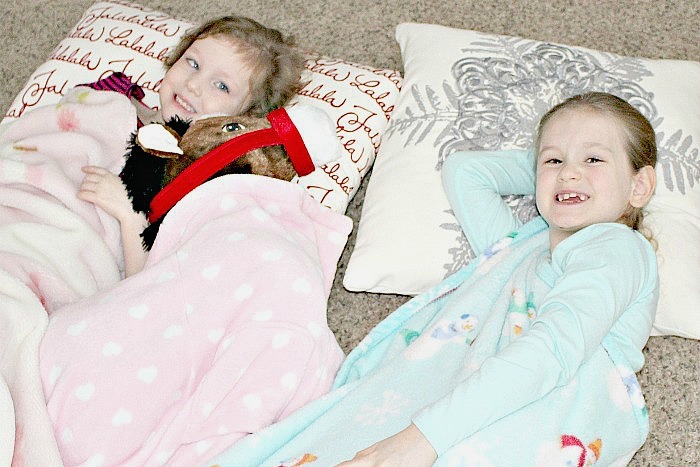 All kiddos were finally asleep by 1 AM, which is pretty normal on Christmas Eve as anxieties are so high. This year Bulldozer was the last to fall asleep and ended up in my bed. Once the kiddos were finally asleep Jason and I finished wrapping and other responsibilities and headed to bed ourselves. Our tree was absolutely beautiful this year, despite a few rows of lights going out a few days before our Christmas celebration. 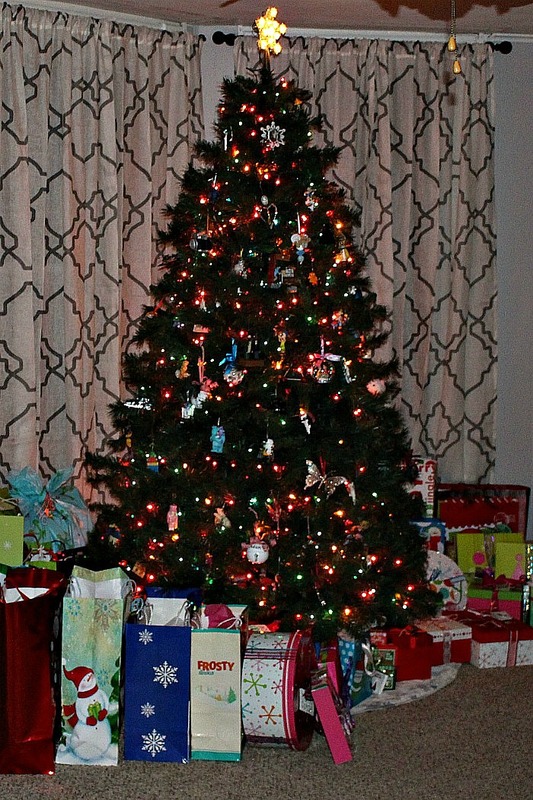 I just love sitting on the couch looking at the tree with all of the lights out, especially on Christmas Eve when all of the presents have been placed underneath. What a memorable and relaxing Christmas Eve Day we had! We hope yours was equally enjoyable!